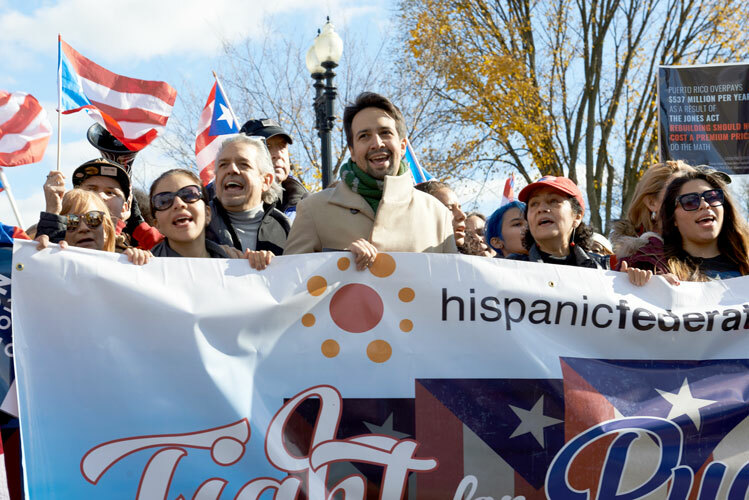 It was the latest word of tribute and affection offered by lyricist Lin-Manuel Miranda to, by his own admission, one of his greatest loves – Puerto Rico. 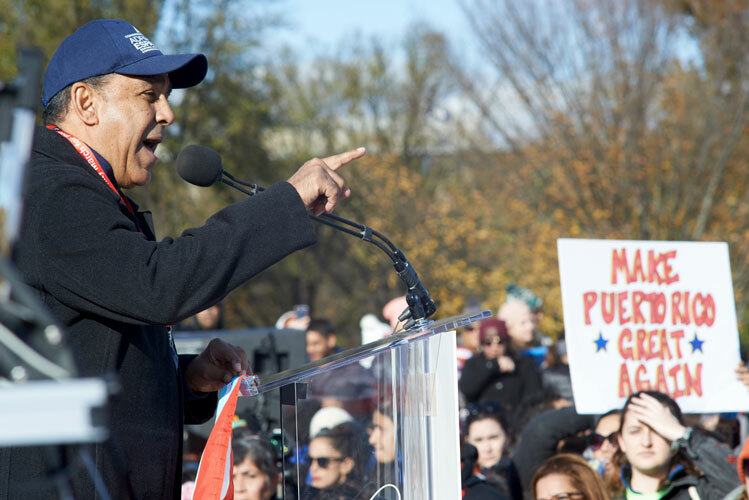 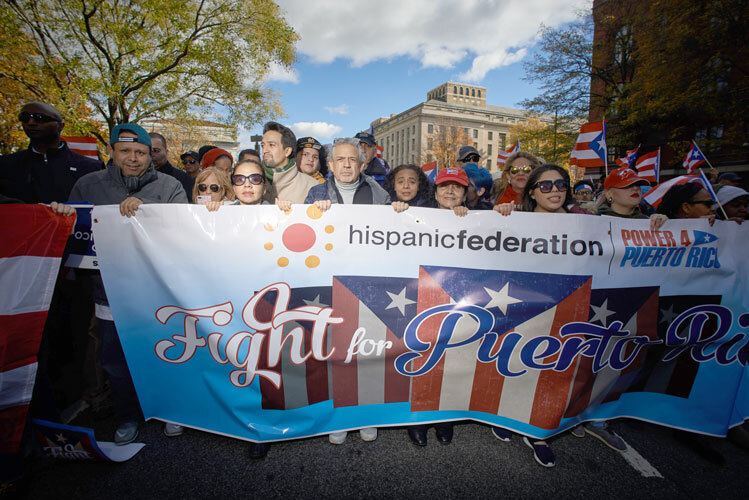 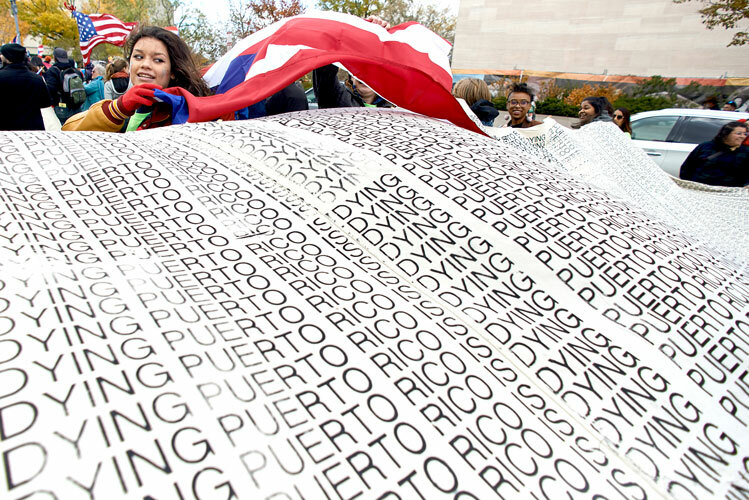 He spoke before thousands at the Lincoln Memorial in Washington, D.C., where the Hamilton creator and the Hispanic Federation organized a Unity March for Puerto Rico on November 19 to call attention to the plight of the hurricane-ravaged island and its 3.5 million residents. 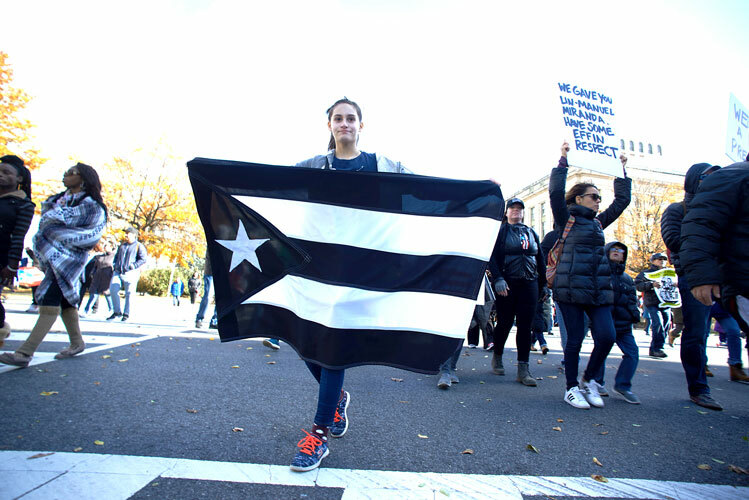 “We can keep raising money, but it’s not going to do any good if the government doesn’t help us,” Miranda said, noting that two months after Hurricane María, Puerto Rico remains in dire need. 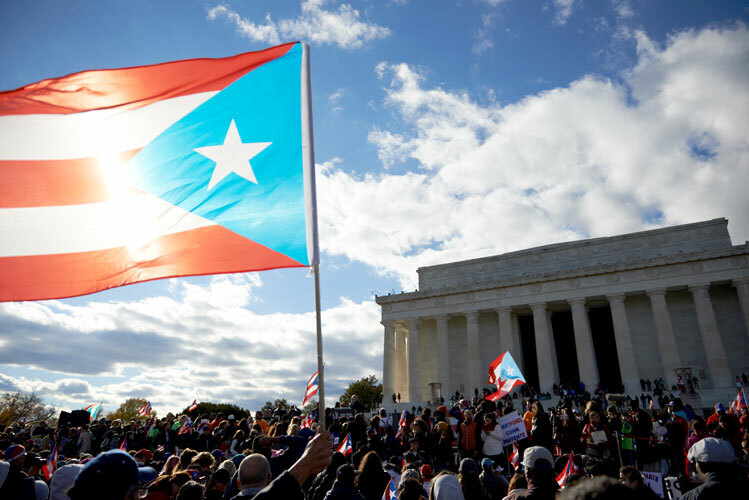 Power and running water remains a scarcity throughout the island; schools are closed and many hospitals remain hobbled by inadequate supplies of medicine and electricity. 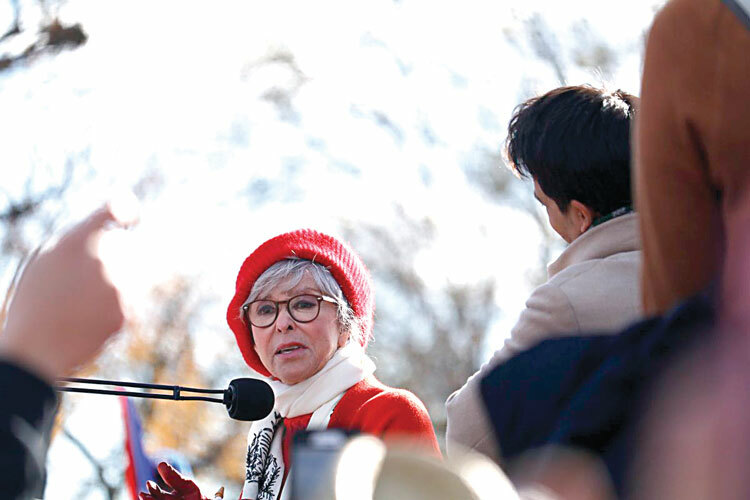 Among those present were award-winning actress Rita Moreno and Spanish-American chef; “Chefs for Puerto Rico” founder José Andrés; U.S. 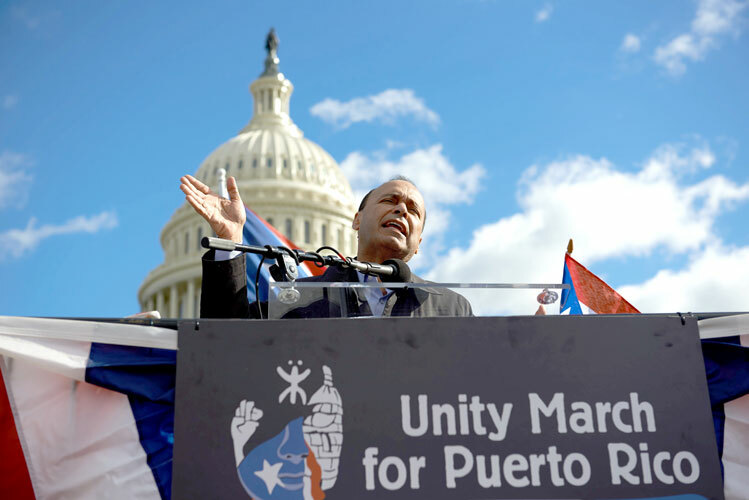 Senator Kirsten Gillibrand; Congressmen Adriano Espaillat and Luis Gutiérrez; New York State Assemblymembers Marcos Crespo and José Rivera; and New York City Council Speaker Melissa Mark-Viverito.